How will forests fare over the next two weeks at COP19 in Warsaw? Discussions on forests reached a peak in Durban (COP17, 2011) and stagnated in Doha (COP18, 2012) but saw remarkable progress in Bonn in June this year. Here is our assessment of how forests are likely to fare over the next two weeks at COP19 in Warsaw. Why: Many countries are already trying to mitigate climate change through various approaches and many of these approaches rely on market mechanisms – e.g., the European Union has a trading system for emissions reduction units and the USA (California) has developed a cap-and-trade system – but each market uses a different currency and converting between these currencies is difficult. Thus, units are not easily traded between the different systems. This is partly the reason for the sluggish development of a global carbon market and the low interest of investors. In addition, the UNFCCC is considering creating new market mechanisms for different sectors, so the problem is likely to lead to greater inefficiency unless countries find a way to connect these different mechanisms. The Subsidiary Body for Scientific and Technical Advice (SBSTA), works closely with IPCC and scientists to review and advise UNFCCC on the science of climate change. Powered through their agenda at June’s Bonn meeting and have provided a number of decisions for consideration in Warsaw. The Subsidiary Body for Implementation (SBI) is responsible for information gathering on adaptation and finance, among other sectors. Was held up at June’s Bonn meeting by Russia, Ukraine and Belarus, which were concerned about decision-making procedures. How does this relate to forests: REDD+ was originally conceived by some countries as a market-based mechanism, where credits generated by reducing deforestation could be sold and traded in domestic and international offset carbon markets. However, the failure of a functioning global carbon market has meant that REDD+ relies mostly on overseas development aid, which has a primary goal of supporting development and poverty reduction, not achieving emission reductions. Developments that permit more efficient trading of REDD+ emission reduction credits could have implications for the functioning of REDD+ and the management of forests in developing countries. The Framework for Various Approaches (FVA) is a program that aims to facilitate international trading between domestic emissions trading schemes. It will comprise a set of rules to ensure all market- and non-market-based mitigation approaches meet certain standards (important for investors), especially from an environmental integrity point of view. Countries have recommended that a pilot phase should start at COP19. Non-market approaches (NMA): Mitigation actions that are not traded on a global market, such as incentives, subsidies, fines, regulation of the transport sector etc. New market mechanisms (NMM): Essential for the FVA to function correctly. Each sector and project currently has its own way of generating credits for emissions reductions (e.g., forestry has REDD+, energy has CDM, etc.). The new market mechanisms will allow credits to be issued at a national level, and trading of these credits can be domestic or international at the discretion of each country (this takes into account those countries that are opposed to international trading and only want to see market mechanisms apply to their domestic situations). Decision at Warsaw: Not expected – views are contentious and divergent. Read: See New market based Mechanism and Framework for Various Approaches. Why: Concrete adaptation initiatives on the ground have been much more difficult for the UNFCCC to achieve than has been the case with mitigation mechanisms. At the moment, the UNFCCC serves as an information clearing house to collect and publicize lessons from country experiences and experiences by development agencies and NGOs. What: The Nairobi Work Programme primarily convenes workshops and creates web-based platforms to promote information sharing, with concrete activities to come later. How: Inviting submissions from Parties and relevant organizations to specify concrete adaptation activities for consideration by SBSTA45 (end of 2016). Decision at Warsaw: None expected at this COP. Targets are for decisions at SBSTA45 on concrete actions for the second half of the work phase. The SBI impasse is also affecting implementation of adaptation measures. Read: The UNFCCC draft text here. Why: Better understand this issue by reading this story. What: What happened at SBSTA37 in Bonn was really remarkable; we’ve never seen a negotiation session that produced this much new text (18 pages). Although the draft decision does have some areas of contention, it allows countries to get around the verification impasse that occurred in Doha. How: Results will be reported via biennial update reports. Countries will be required to supply a technical annex (see an analysis of the Annex) that will be reviewed by a technical team of experts – one each from a developing and developed country. What: At COP16 in Cancun, a decision was made that all countries implementing REDD+ must develop a system to measure, report and verify emissions generated by changes in forest cover in a transparent and accurate manner. Many countries are in the process of developing such national forest monitoring systems. Why: Without a robust forest monitoring system, it is impossible for countries to reliably measure and report carbon emissions – and thus receive payments. The text under discussion specifies that it is important that reporting be consistent with nationally appropriate mitigation actions (NAMAs). It thus provides a means to integrate REDD into the FVA by helping ensure comparability of emission reduction units with other mitigation activities undertaken by non-Annex 1 countries. How: By using carbon accounting methods specified by the IPCC and integrating results from these methods into the biennial reports to the UNFCCC (this is consistent with what was decided in Copenhagen). Changing acronyms: A sign of progressAs RELs and RLs are taken up in other sectors, there is a need now to specify emissions that come from forests: FRELs. Great to see an idea, formulated in forestry, taken up by other sectors. What: A Reference Emission Level (REL) is the amount of carbon that would have been emitted in the absence of any intervention. Why: This is a crucial part of national forest monitoring systems; countries can use this to determine the volume of reduced emissions under REDD+. How: A stepwise approach to measuring emissions – where countries start developing their RELs with available information and continue to improve measurements as they build capacity – is still under debate in the draft text. If countries improve their assessment and reporting, it could significantly change RELs retroactively and therefore change the credit they will receive for achieving emissions reductions and affect the payments. Also, a key (bracketed) word in the draft text is “non-intrusive”: developing countries want to know how much involvement donor countries intend to have in the implementation of REDD+ programs. Decision in Warsaw: Expected – but the debate between developed and developing countries will be interesting to watch. encourage participation of all people. Why: Previously, as part of their “Safeguard Information Systems”, countries only needed to report on how they were addressing safeguards. The proposed text will require countries to report on how safeguards are being respected. How: Integrated into biennial reports after 2020. Decision in Warsaw: Expected – but the text could and should be more rigorous. What: Better understand this issue by reading this story. Why: To be effective at reducing deforestation and forest degradation emissions, countries need to put in place appropriate policies and measures to tackle these drivers. Agriculture drives 80 percent of global deforestation, but there are different kinds of agriculture and different national contexts which are affected by both national and international markets. At the moment, most national programs do not specifically target drivers, which rasies questions about their effectiveness. How: The text is general and underlines that countries need to address drivers of deforestation and forest degradation. What: Agriculture remains a pending SBSTA item and it is difficult to predict progress in this area. Agriculture often has very little representation within environment ministries that are predominately responsible for climate change, so agriculture representatives are often marginalized within their own delegations at UNFCCC COP. For many developing countries, agriculture is the most important sector so climate mitigation commitments could threaten food security and sovereignty. How this relates to forests: Agriculture is responsible for about 18-20% of global emissions. It will also be affected – both positively in some areas and negatively in others – by climate change. 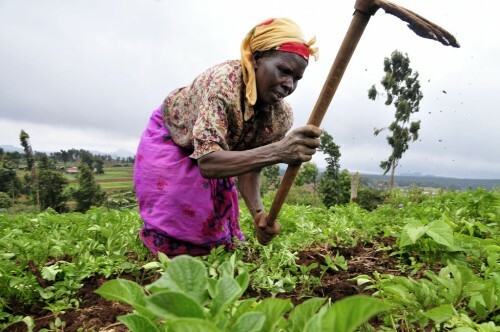 Since agriculture is an essential human occupation and since it is also largely responsible for deforestation emissions, finding solutions that protect food security, protect peoples livelihoods and reduce emissions in landscapes is essential for achieving equity in outcomes. Decision in Warsaw: Not expected – until the concern around mitigation is solved, it will be difficult to move forward. But it is possible that the Agriculture Work Program discussions will lead to inclusion of specific programs to address the vulnerability of agriculture in the 2015 climate agreement. While details of the agriculture work program remain undecided, individuals should start explaining to negotiators what integrating agriculture into the climate regime could accomplish. What: A way to manage an area of land to balance development goals such as poverty eradication, green growth, food security and nutrition, mitigation of and adaptation to climate change, energy supply, and sustainable land use and farming practices. Why: As long as REDD+ is funded by development aid (which requires development outcomes), the landscape approach will be essential to achieving 3E (efficiency, effectiveness, equity) outcomes from REDD+, particularly equity. A landscape approach is also essential for reducing agricultural emissions. How: Not yet clear how it will fit into UNFCCC negotiations; this is something that will be intensively explored at the Global Landscapes Forum. A central strand of the debate concerns non-carbon benefits, so perhaps the landscape approach can help link REDD+ to other sectors. Decision in Warsaw: Not expected. This is only now being put on the table.